Although some vans have been technically available with the new Euro6 engines for a little while, few have actually yet appeared. Broadly under the EU law all vehicles built after 31 December 2013 have to be fitted with Euro6 engines but any vehicles built with Euro5 engines built before 30 September 2013 can be registered up until 30 September 2014. These dates do not apply to all smaller vehicles, some lower GVW versions don’t have to comply until 2016 which is why the introduction of Euro6 engines in vans is somewhat confused. Mercedes-Benz has been quicker than most other manufacturers at producing vans with Euro6 engines but even their introductions have been complex. The first vehicles in the van category to appear were chassis cabs and it is only more recently that complete vans have begun to come through with the new power plant fitted. 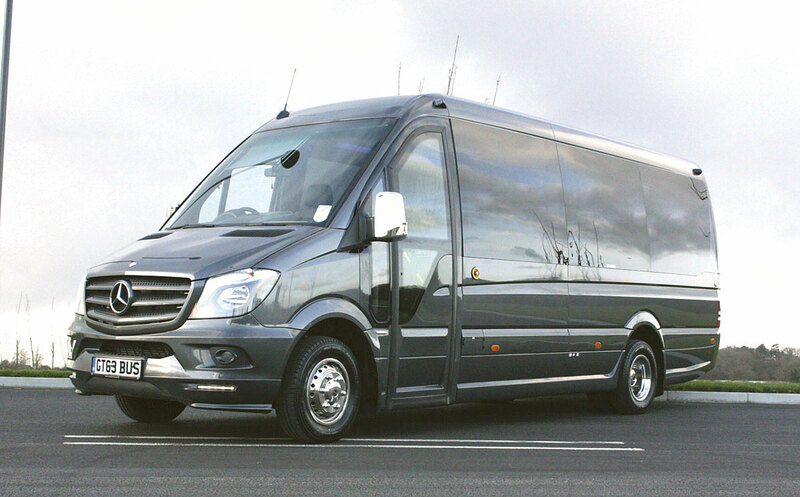 Keen to get my hands on one I accepted an invite from EVM to drive two of the first that they have converted and at the same time see some important changes to their popular X’Clusive luxury minicoach based on the five-tonne Sprinter and now designated X’Clusive 2. The changes manufacturers have had to make to achieve Euro6 are quite complex and some manufacturers, particularly for larger vehicles, have developed completely new engines. 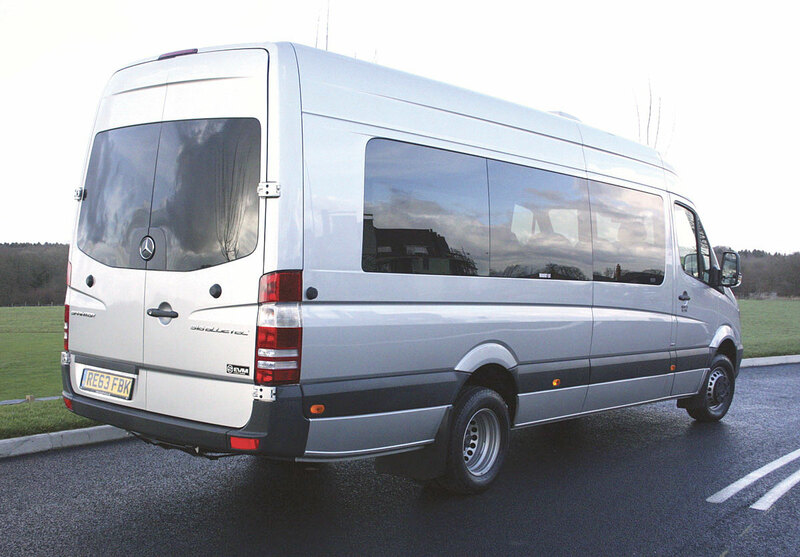 Fortunately for Mercedes-Benz the Sprinter engine is comparatively new and therefore could be adapted but even so it has involved some complex modifications. The Euro6 emissions standard entails markedly stricter emission limits than that of Euro5. Nitrogen oxides (NOx) have to be lowered by 80% to a mere 0.4 g/kWh, hydrocarbons (THC) cut by 70% to 0.13 g/kWh and the limit for particulate matter is reduced by 50%. Mercedes-Benz decided to use the introduction of the Euro6 as a reason for making some other upgrades to the Sprinter and although these are not that major it is being called the New Sprinter. The real new Sprinter is still some way off, probably 2015. In order to achieve Euro6 levels Mercedes-Benz has started using AdBlue as an additive. An 18-litre AdBlue tank is fitted on the right side of the bonnet, said to be sufficient for around 6,000 km. For Euro6 engineers have optimised the injection characteristics, the combustion process and the charge pressure of the engine, all of which they claim will result in lower fuel consumption, quieter combustion and smoother running. We heard similar claims from many manufacturers about Euro4 and Euro5 engines but the promised benefits weren’t always apparent. 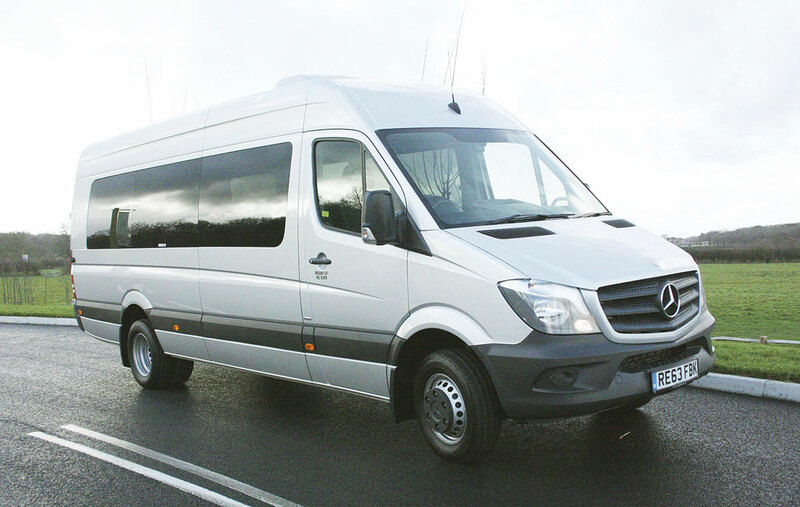 The standard engine for the five tonne Sprinter range is the 2.2-litre OM651 four-cylinder diesel. Unusually this engine has an undersquare configuration with cylinder bores of 83mm and a stroke of 99mm which Mercedes-Benz claim is why the engine has such high tractive power. The two overhead camshafts actuate a total of 16 intake and exhaust valves and the camshafts are driven by a combination of gearwheels and a short chain. The common rail injection system operates at a maximum injection pressure of 1800 bar with the fuel injected by means of magnetic injectors and seven-hole injection nozzles. Charging is via a two-stage exhaust-gas turbocharger system. This system ensures that the maximum torque is available from low engine speeds and across a broad engine speed range, enabling the engine to attain both a high specific power output and high torque. These are crucial factors in lowering fuel consumption, achieving the low emissions and optimising weight. The engine’s extremely smooth running characteristics are helped by a Lanchester balancer with two counter-rotating shafts, having the camshaft drive positioned further to the rear and by the use of a two-mass flywheel. The exhaust gas recirculation with two-stage cooling and the SCR technology with AdBlue injection and a particulate filter ensures achievement of the Euro6 exhaust emissions. The engine is available in three power outputs: 95bhp, 129bhp and 163bhp (70kW, 95kW,120kW) at 3,800 rpm and with maximum torque of 250Nm, 305Nm and 360Nm at between 1,400-2,400rpm. EVM generally use the 163bhp engined 516 model or the 129bhp 513 model. The one I drove had the 163bhp unit. 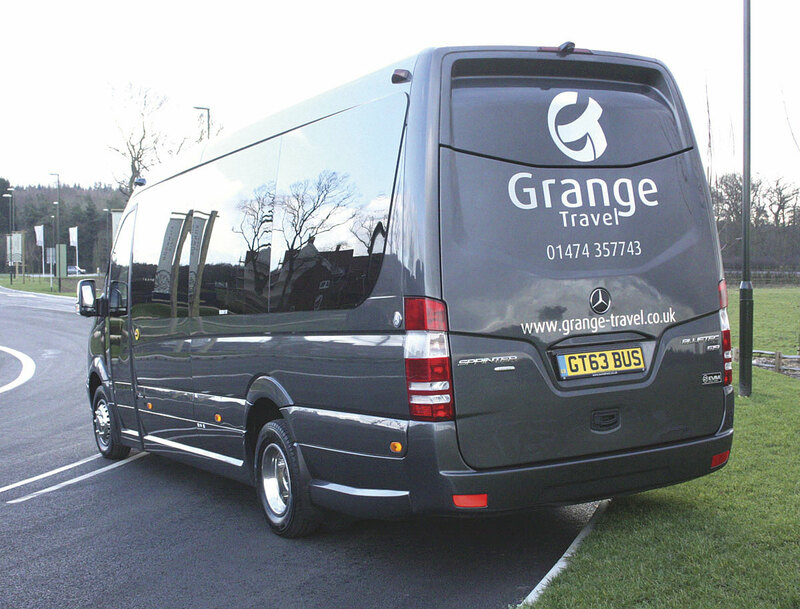 There is a more powerful Sprinter engine, the OM642, three litre V6 unit, which is also available in Euro6. This engine develops 193bhp (140kW) at 3,800 rpm and maximum torque of 440 Nm at 1,600-2,600 rpm. The undersquare engine is based on an aluminium crankcase with a V angle of 72 degrees. Offset rod journals and a balancer shaft result in an extremely smooth-running engine. Technical refinements include four duplex chain-driven overhead camshafts and common rail injection with piezo injectors and eight spray holes per nozzle. 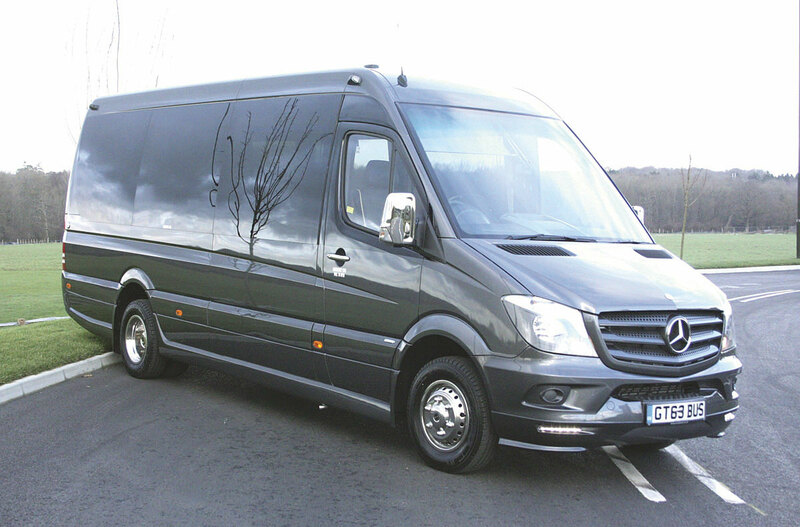 EVM is one of few converters serving the UK and Irish markets offering the 519 version of the Sprinter. The new EVM X’Clusive 2 I saw had it, so I was able to experience both of the most powerful Euro6 Sprinter engines. Mercedes-Benz claim that the low fuel consumption of the new Sprinter is not only attributable to the engine technology but a whole range of refinements ranging from the type of engine oil to the ball bearings used, all help to reduce fuel by up to 0.2 litres per 100 km, they claim. Other changes brought in are intelligent generator management which ensures that the alternator gives priority to charging the battery during braking and on the overrun. During acceleration and cruising, the full engine output is available to the drive system thanks to a new electric fuel pump which controls the fuel supply with a variable delivery rate to suit the operating requirements. The standard transmission on the five tonne Euro6 Sprinter, irrespective of engine, is the existing ECO six-speed manual or the new seven-speed 7G-Tronic Plus automatic transmission with torque converter. Despite only recently becoming available on Euro5 Sprinters the 7G-Tronic has undergone further refinement to match it with the new engine to achieve maximum fuel economy. Now called the 7G-Tronic Plus, improved damping results in a lower tendency to generate noise and hum and the reduced slip on the lockup clutch gives a more direct connection to the accelerator pedal. This enables the shift points to be matched precisely to the engine characteristics and also optimises oil heat-up in the cold running phase along with the torque converter’s hydraulic circuit resulting in faster heating-up of the oil, therefore minimising frictional losses after cold starting. One thing common to all Euro6 engines is that the complete engine, exhaust and cooling package takes up more space and that is certainly true of the Sprinter. It has led to some subtle changes in the styling and is easily the simplest way to spot one. Visually, the new Sprinter immediately looks different. The radiator grille is more upright and further forward, extending the bonnet line and creating a more assertive vee shape appearance; I think it is quite striking. The three radiator louvres are swept back from top to bottom and are perforated to increase the air flow. The Mercedes badge is also more prominent. New headlamps feature sharper contours and a surround divides the headlamps into individual segments, emphasising them. In the bottom of the housing are the now compulsory new LED daytime driving lights. The new bumper features a more pronounced upward sweep under the headlamps and bolder lines. The air inlet in the middle is now set back and the opening acts as a step for windscreen cleaning. The rear end of the Sprinter is little changed except for the rear lights which are now two-part. 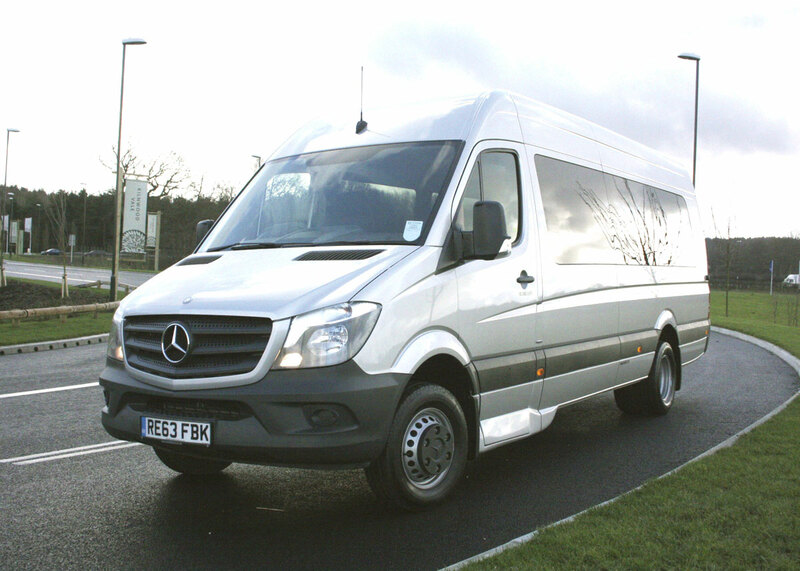 The Sprinter cab was already one of the best working environments but subtle changes include a new multifunction steering wheel with a thicker rim, trip computer and attractive chrome clasps on the steering wheel spokes as well as newly designed function keys. The fresh air vents are embellished with chrome applications and the gear shift lever also now sports a chrome ring. The driver’s seat features a firmer cover whilst the new wool fleece lining and seat cover fabric provide enhanced breathability. The Sprinter was already streets ahead of other vans in terms of its safety features like ESP, Brake Assist etc but now a host more are available as options including Crosswind Assist, Collision Prevention Assist, Blind Spot Assist, Highbeam Assist and Lane Keeping Assist. Another important feature is the ASSYST maintenance computer, which now forms part of the standard specification. This determines when oil changes are due by monitoring the wear, helping extend maintenance intervals to as much as 60,000 km. The vehicles I drove were an EVM Classic on the Sprinter 516 and the new X’Clusive 2 on a Sprinter 519.